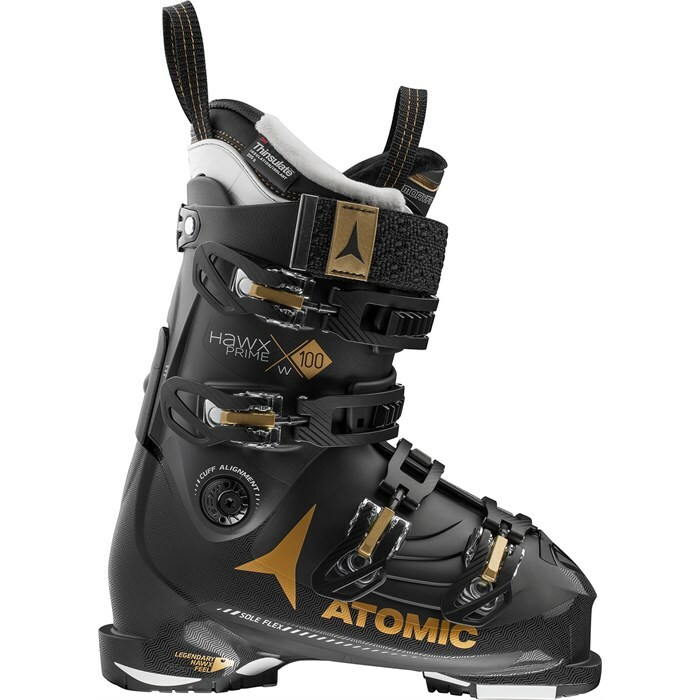 The Atomic Hawx Prime 100 W Ski Boots feature the exceptional performance you'd expect from Atomic s best-selling all-mountain boot, in a women's specific fit and new Memory Fit heat moldable liner and shell. An integrated Sole Flex area lets you bend the boot more natural while hiking, and Power Shift technology allows you to adjust both the flex and the forward lean angle. 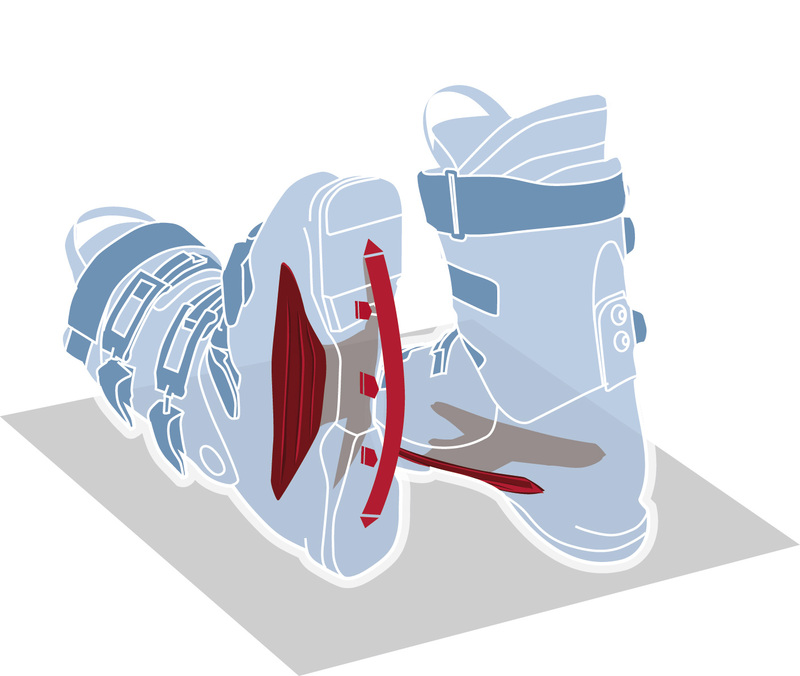 For the all-mountain lady shredders out there searching for a high performance, medium-volume boot, it's hard to find a better option than the powerful Atomic Hawx Prime 100 W Ski Boots. Memory Fit  Advanced heat-fitting technology creates a fully personalized shell, cuff, and liner in minutes. Flex: 100  A moderate flex for balanced power and response. Memory Fit 3D Gold Liner with 3M™ Thinsulate™  Pre-shaped, thermoformable heel and ankle areas mean no pressure points and a great foot hold. 3M™ Thinsulate™ Insulation  The use of very thin insulating fibers allows Thinsulate™ to trap more warm air with a thinner layer, even in extremely cold conditions. 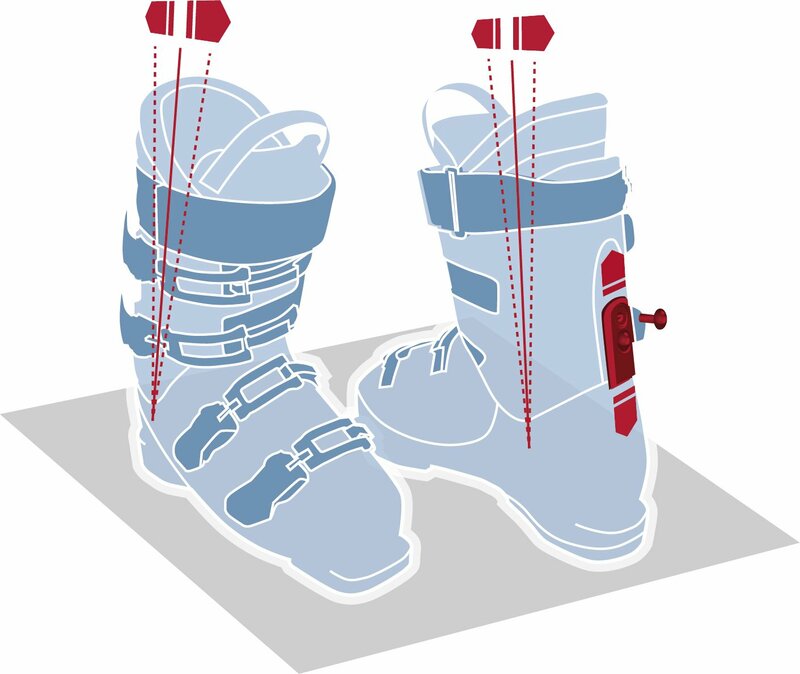 Power Shift  Forward lean can be quickly adjusted to 13° or 15° or 17° as well as the flex index by +/- 10 flex points. For a completely personalized setup. Sole Flex  Special Sole Flex area provides a more natural bending line of the boot, promoting better balance, better feel underfoot, and greater control.